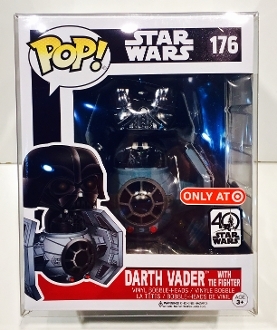 1 custom made box protector for the Funko Darth Vader with Tie Fighter. This also fits the Tie Pilot with Tie Fighter. The do NOT fit Kylo Ren, Boba Fett with Slave 1 or Wedge with Snowspeeder but we have those sizes available and MANY others too!